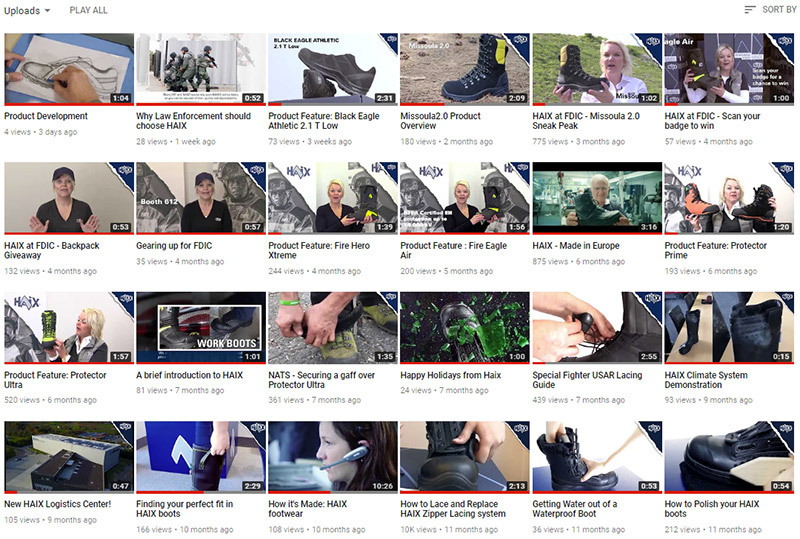 Did you know we have several how-to videos and product features on the HAIX® North America YouTube page? One of our most popular videos is how to lace, replace and adjust the HAIX® Fast Lacing Fit System on our EMS/Station zipper boots including the Airpower® XR1, Airpower® XR2, and the Airpower® R2. You can check out our easy step-by-step instructional video, as well as others on the HAIX® North America YouTube page. We’d also like to invite you to subscribe to our channel to view our other videos which feature tips, tricks and product information. Keep checking back because new content is added continuously!